The breadth of music used today for worship is staggering, as is the abundance of hymnals and songbooks. Styles also vary enormously, ranging from the traditional four-part hymn setting to modern choruses and worship songs. Instrumentation has also changed accordingly. Electric guitars, keyboard and even drums are now a common feature in churches. Many changes have taken place in the last fifty years and there have been as many reasons behind these changes. But with regard to the contemporary styles used in worship today, when we trace this form of music back through the decades it is clear that the time of epochal significance is the mid 1950’s and the pioneering exploits of Geoffrey Beaumont and The 20th Century Church Light Music Group. This is not to suggest that the current church music scene can be attributed to Beaumont et al, but to acknowledge their significant contribution and at least partial influence on later developments. Half a century on, it seems a fitting time to recognise their efforts. Two dates that are of primary importance are 1955 and 1957. The first relates to a radio programme, Sunday Half Hour, in which one of Beaumont’s hymns tunes in a popular style was used (set to ‘Lord, thy Word abideth’), and the second to a BBC television broadcast. The radio show may have pointed the way forward, but it is the second date that is most significant because not only did the televised event make a real impact but it also set in motion what was later to be called the ‘pop’ or ‘popular church music movement’. This BBC broadcast in October 1957 from St Augustine’s, Highgate, featured a setting of portions of the Anglican Eucharist in a popular style, under the title A 20th Century Folk Mass. The composer was Rev Geoffrey Beaumont and the inspiration for the composition came from an East London vicar who said he was ‘deeply concerned that nothing had been written since the Elizabethans, which can properly be called a “Folk Mass” and that church music is utterly foreign to the majority of people’. Footnote 1Beaumont, G. 1956. A 20th Century Folk Mass (Weinberger, London). While many may have sympathised with the sentiment, the piece did attract as much criticism as praise, leading even the Royal School of Church Music (RSCM) to pronounce its stance on the new movement: ‘A 20th Century Folk Mass may appear to some people to answer the demand, or at any rate to be a step in the right direction. To many more…it offers a suspiciously facile solution, fraught with danger’. Footnote 2English Church Music 1958. ‘Beaumont’. Feb. vol. xxvii. No.1, pp.1-3 (RSCM). The RSCM further endorsed its misgivings in a subsequent editorial but Beaumont remained undeterred. In fact, the popular church music movement gained further momentum when towards the end of the 1950’s he and number of associates formed The 20th Century Church Light Music Group, with the aim of composing and promoting church music in a popular style. Its primary focus was hymn tunes, with music being married to well-known texts, and its output in the 1960’s was substantial. However, only a small number are still sung today, chiefly Appleford’s ‘Lord Jesus Christ’, Brierley’s tune to ‘At the Name of Jesus’, and Beaumont’s tune to ‘Now Thank we all our God’. It is not, therefore, the Group’s enduring legacy that needs appraising but their contemporary impact, and there is no question that its influence was considerable. 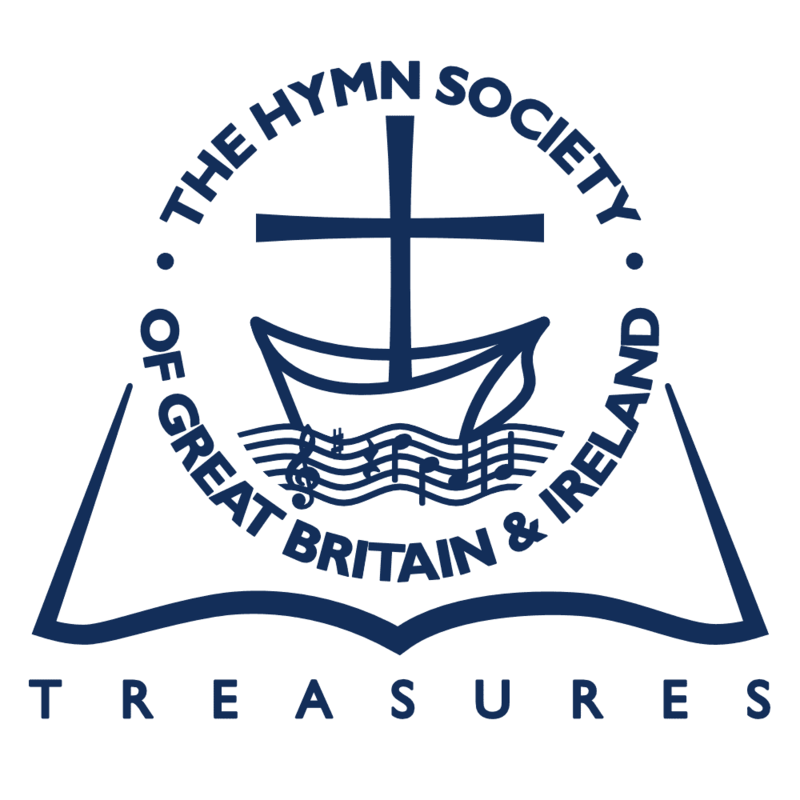 The amount of articles addressing the movement, particularly in the RSCM’s periodical English Church Music, but also in others such as the Hymn Society’s Bulletin, is alone testament to that. There are also the many books on church music that include some comment. In Twentieth Century Church Music (1964), Erik Routley even devotes several chapters to the subject and was moved to conclude that the Folk Mass ‘awakened the minds of church musicians to a quite new situation…[which] is quite enough praise for any innovator in church music’. It was also surely no coincidence that more skilled composers became involved with the movement. Malcolm Williamson, for example, later to become Master of the Queen’s Music, published a range of popular style works in the 1960’s including 12 New Hymn Tunes (1962). Perhaps the most telling influence at the time was the inclusion of the Group’s hymn tunes in contemporary hymnals and supplements. The first was the Baptist Hymn Book (1962), followed by Hymns of Faith (1964), and then Hymns and Songs (1969), 100 Hymns for Today (1969), etc. Firstly, The 20th Century Church Light Music Group does need placing in context because it would be inaccurate to suggest that there was anything particularly new in drawing on the surrounding musical landscape for use in worship. Throughout the history of church music there has been an uneasy alliance between sacred and secular, with regard to instrumentation, appropriation and style. The names Luther, Booth, Wesley, belong to a long list of sincere and pious Christians who had little hesitation in using or adapting popular or folk tunes for religious use. In the 20th century the CSSM choruses found favour with both children and grown-ups alike and the popularity of gospel hymnody secured its place in many 20th century hymnals. In fact, wherever one looks there appears to be some trace of secular influence in the music used for worship – from plainsong, carols and chorales to metrical psalmody and, of course, hymnody. Why then all the fuss surrounding Beaumont’s Folk Mass and popular style hymns tunes? As with most important developments it was the timing and fusion of a number of key elements that proved pivotal. On one level, the fact that it was not on this occasion a hymn, psalm, carol or song but portions of the Anglican Eucharist that were set to dance rhythms and popular harmonies reveals why it ruffled some feathers. The exposure that the Folk Mass received, courtesy of the BBC, also proved significant. However, neither of these factors warranted the sustained attention and, at times, vehement criticism that ensued. Other forces were at work, some complimentary others contradictory, which help explain the resulting tension surrounding the popular church music movement. The musical milieu of the mid 1950’s was to begin with both an exciting and precarious time. The rebellious strains of rock and roll were, on the one hand, intoxicating to a burgeoning youth market but at the same time treated with grave suspicion by authority figures. Crucially, it was within this context that some initially misunderstood Beaumont’s intentions, for he was neither influenced by nor interested in the current pop music. But, the term ‘pop’, along with its developing negative commercial connotations, was used by certain commentators to describe the music of The 20th Century Church Light Music Group. These hymn tunes have been written for congregational worship by 20th century congregations…they are offered in the belief that not only the great and lasting music of the past but also the ordinary and transient music of today – which is the background to the lives of so many – has a rightful place in our worship. This in itself was not a revolutionary concept, but what was ground breaking, and perhaps why those within the establishment responded as they did, was that the popular church music movement had emanated from ‘within’. Furthermore, it was both organised and sustained. It even managed to infiltrate that last bastion of traditional ecclesiastical practice – the cathedral, when a ‘beat service’ was organised in Salisbury Cathedral in 1962 by the organist, Christopher Dearnley. It was true that worship music with a popular flavour had been used before by evangelists such as Moody and Sankey, or mavericks like Booth and Wesley, or for revivalist meetings and such like, but this was different. This had grown from within the ranks of the Church of England and was part of a much larger, more widespread debate. The desire to make worship more modern and meaningful had been growing for some time. The request for a new translation of the Bible (NEB) in 1936 was, for example, evidence of this. When it was eventually published in 1961 the rationale, we are told, had been for translators ‘to employ a contemporary idiom rather than reproduce the traditional “biblical” English’. Footnote 4Ebor, D. 1970. The New English Bible (CUP/OUP. Oxford). There was also the publication of the controversial book, Honest to God (1963), in which the author, the Bishop of Woolwich, talked of stripping away the associations of churchiness and religiosity. He was also advocating that the décor, architecture and music should ‘speak the language of the world’ that the Church was supposed to be transforming. Surrounding and interweaving within this discourse was the Liturgical Movement, which, by the 1950’s, had become an unstoppable force that had impacted Catholic and Protestant churches throughout Europe and the USA. Its underlying principles were the centrality of the Eucharist, congregational participation and greater use of the vernacular in liturgical services. As Patrick Appleford remembers: ‘most of us in The 20th Century Church Light Music Group were in the parish communion tradition, part of the liturgical movement concerned to involve people in the singing of the Eucharist and the hymns sung with it.’ Footnote 5Quoted from correspondence between Patrick Appleford and myself, 1998. The opportunity was, therefore, ready for the taking and that is precisely what Beaumont seized on with the belief that along with the traditional, there needed to be the common, vernacular, earthy music of the people as well. The popular church music movement was, then, not a new radical self-expression but more simply symptomatic of its time; as was the passing of the ‘Prayer Book Measure’ in 1965, which permitted the use of experimental services in the Church of England, and along with it more informal songs and hymns. In the Catholic Church too, the desire for change had been growing. Vatican II (1962), for example, ignited a musical revolution in itself, which led to the use of more contemporary styles of worship music. It is clear now that by the mid 1960’s there had been an irreversible sea change and although the debate was to persist, there was no doubt that popular styles of church music were set to continue. And while it is equally apparent that Beaumont and The 20th Century Church Light Music Group had played a not unimportant role in this sea change, it is difficult to assess their influence on later developments. It is interesting to note, however, that while few in number their hymn tunes have been, and continue to be, included in many hymnals and in all of the influential Christian songbooks with a contemporary slant published since the mid 1960’s – Youth Praise (1966), 20th Century Folk Hymnal (1974), Sound of Living Waters (1974), Mission Praise (1983), Songs and Hymns of Fellowship (1987), and Let’s Praise (1988). Their legacy remains therefore not so much in their output but in how the popular church music movement helped pave the way for later forms of popular and folk style church music. As that doyen of church music, Erik Routley, put it in Twentieth Century Church Music: the Folk Mass ‘started something’ and awakened the minds of church musicians to a new situation and ‘a series of quite new questions’, and one might add, a situation that would ensure church music would never quite be the same again. 1. ^Footnote 1Jump back to footnote 1 in the text Beaumont, G. 1956. A 20th Century Folk Mass (Weinberger, London). 2. ^Footnote 2Jump back to footnote 2 in the text English Church Music 1958. ‘Beaumont’. Feb. vol. xxvii. No.1, pp.1-3 (RSCM). 3. ^Footnote 3Jump back to footnote 3 in the text Quoted from correspondence between Patrick Appleford and myself, 1998. 4. ^Footnote 4Jump back to footnote 4 in the text Ebor, D. 1970. The New English Bible (CUP/OUP. Oxford). 5. ^Footnote 5Jump back to footnote 5 in the text Quoted from correspondence between Patrick Appleford and myself, 1998.